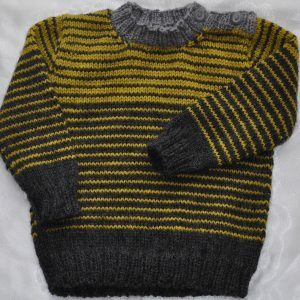 The jumper measures 52cm around the chest and is 34cm long from centre back neck to lower edge. 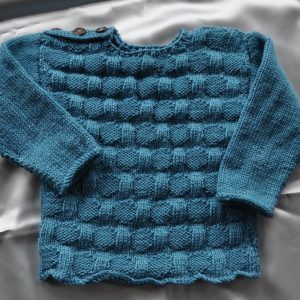 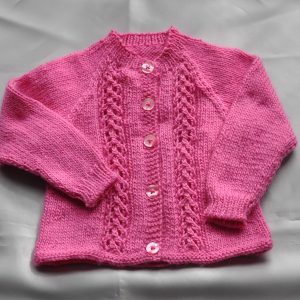 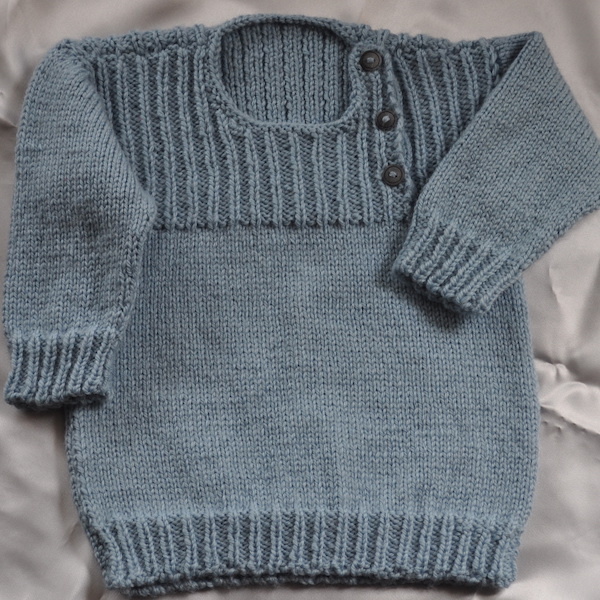 With an opening on one side of the front it is an easy jumper to pop on baby/toddler. 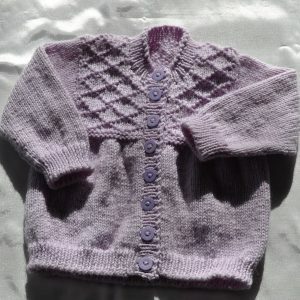 Hand knitted in Shepherd Colour-4-Me 8ply (winter/medium weight) 100% wool.